Whether you're scaling mountains or exploring hills closer to home our Superflux Hoody is a versatile mid-layer designed for active use. 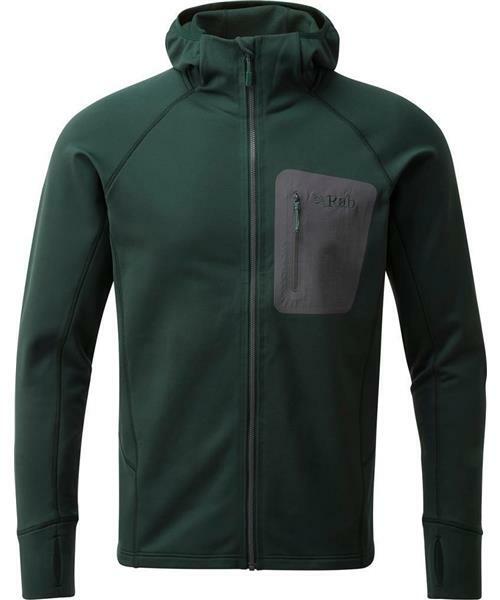 Made from soft and flexible, Thermic fleece the Superflux Hoody balances warmth and breathability to keep you comfortable throughout the year. Well suited to higher intensity activities, the athletic fit makes it easy and unobtrusive to wear under multiple layers whilst the flatlock seams sit comfortably against your skin. Lightweight and packable the features on the Superflux are simple yet effective with thumb loops, a chin guard and under helmet hood to minimises heat loss in colder conditions.